Host this group at your local shul/school/community! An amazing opportunity to meet IDF Tzuk Eitan veterans in person! The Magen David community in Brooklyn and Panim el Panim of Jerusalem, Israel have teamed up to bring IDF veterans of Operation Protective Edge to New York this December. We're flying over a group of soldiers and officers who fought for the IDF in the recent Gaza war so they can tell you their stories from Operation Protective Edge. Please contact Dr. Chagit Hadar for more information and to schedule members of this delegation for events in your community. 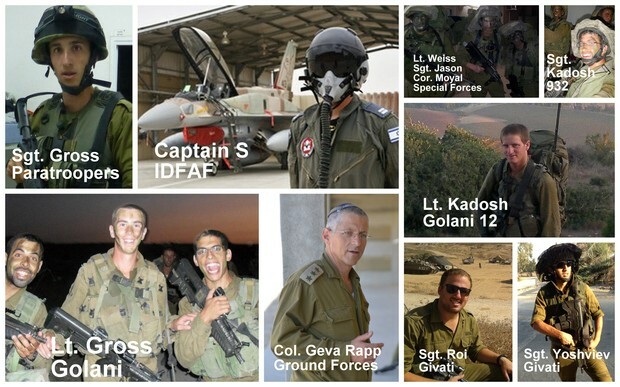 Col. Geva Rapp - Served in the IDF for 30 years, took part in numerous battles and was third in command of IDF ground forces during the 2009 Operation Cast Lead in Gaza. Was one of the IDF's ranking officers in the field during Protective Edge. Captain S - F16 combat pilot who commanded the IDF aviation school in the Negev, and took out terrorists from the air during Protective Edge. Lt. Nadav Kadosh - Former Golani Special Forces, is 12th battalion platoon commander at the national officers training base. During Protective Edge, fought in multiple battles in Gaza's notorious Sej'aya area..
Sgt. Itamar Kadosh - Nadav's brother. 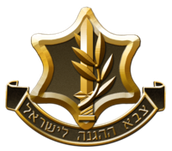 Acknowledged as a top soldier in the 932nd battalion, was posted at the front for Operation Shuvu Achim (the search for the 3 yeshiva students killed in Gush Etzion this summer). Later fought in El Attra in Gaza, where he was wounded in a mortar attack. He is currently recovering from his injuries. Lt. Bentzi Gross - Platoon commander in the Golani 51 brigade. Commanded his troops in Sej'aya during Protective Edge, until half of his platoon were wounded and evacuated. After just one day, returned to Gaza to lead his platoon again in fighting Hamas! Sgt. Naftali Gross - Bentzi's brother and a third year medical student at the prestigious Hadassah School of Medicine. During Protective Edge, fought with paratroop forces in the Hebron area. Sgt. Roi Nir - Fought in Operations Cast Lead, Pillar Of Cloud and Protective Edge. This summer joined ground forces clearing tunnels around the Gaza Strip. Is a member of a famous Tel Aviv law firm. Lt. Daniel Weiss - Former Givati special forces. Served as a platoon commander during Cast Lead, and was in charge of clearing Gaza tunnels during Operation Protective Edge. Sgt. Itzik Yeshoviev - Made Aliyah to Israel from the USSR and is currently an official Knesset spokesman. Has served as the Israeli representative in the European student council. Served in Givati during Pillar of Cloud and Cast Lead, as well as Operation Protective Edge. Yitzchak Moyal, Jason Blankfield - Chayalim Bodedim (lone soldiers) from France and Australia. 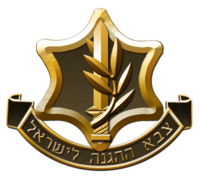 Currently serving in the Nachal brigade. Our forces on the way to Gaza. 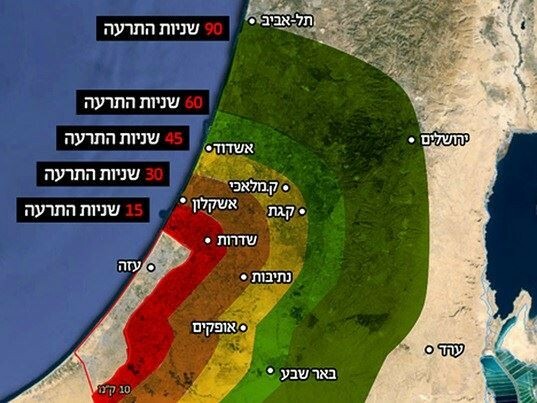 Actual range of Hamas rockets. 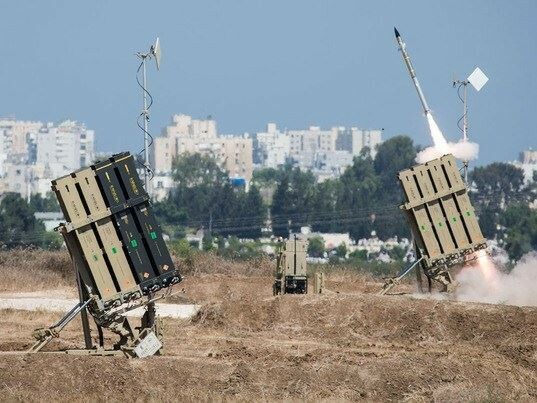 Iron Dome system in action. Tzuk Eitan - Soldiers Dancing with Kedusha! Panim el Panim has worked for 10 years to bridge the gap between secular and religious in Israeli society. Our focus has become reaching out to high school students, IDF soldiers, college students, young families, Kibbutznicks and even prison inmates. We believe that when Israelis know where they come from, who they are and what their future is, they become much more committed to the Jewish Nation, the Land of Israel and the State of Israel!